The Masters Golf Tournament is the only PGA tournament to return to the same location every year. If you're ready to watch all of the action at Augusta this year and want to do it through Kodi, you're in the right place. Here's how to watch the 2019 Masters Tournament on Kodi. The 2019 Masters Golf Tournament will be held April 11-14, with pre-tournament streams starting on April 8. The full matches will be broadcast from a variety of sources around the world. This year, you can watch the Masters on Kodi through both free and paid sources. All you need is the latest Kodi installation, a good internet connection, and VPN for bypassing geographic content restrictions where necessary. Important note: Our guide only recommends official sources for US Masters Tournament. The US Masters Tournament is one of the most popular golf tournaments of the year. As a result, numerous sites will attempt to stream the events without permission. Our guide only recommends official streaming sources that can be accessed either free or paid. At times, you may need to use VPN to access free streams from overseas or to maintain your privacy and avoid speed throttling from your ISP. However, the sources below are all fully legitimate and offer high-quality streaming for the 2019 Masters. If you are outside the countries where the Masters is broadcasting for free, you may need to connect to a VPN server in the locations detailed below. BEST VPN FOR KODI:IPVanish is our top choice. The service has a large network of fast, uncongested servers. IPVanish offers strong security, privacy, and anonymity features that bypass ISP speed throttling and snooping on any device, including the Amazon Fire TV Stick. Try it risk-free with the 7-day money back guarantee. First, sign up to a VPN of your choice. We recommend IPVanish for Kodi users, although ExpressVPN, NordVPN, and CyberGhost are comparatively good options as well. Next, install the VPN app onto your chosen streaming device (make sure before you sign up that it makes an app for your device). Next, connect to a VPN server in a country where your streams are available. There are free streams in the US, UK, and Australia, and paid streams as well. Open the Kodi addon carrying your stream and enjoy! You may need to do a trial run on your streaming sources before the Masters begins. That way, you’ll know whether or not you need to explore alternative options for streaming the Masters on Kodi, or if you need to abandon Kodi altogether for a different streaming method. We also recommend you try multiple VPNs if your first choice is not unblocking content. All the VPNs we recommend come with money-back guarantees. The PGA Masters Golf Tournament has streaming rights available in several different countries. There will be limited free streaming available through Masters.com in the US, the BBC iPlayer in the UK, USTVnow, and the free-to-air 9 Network in Australia. Several Kodi addons will give you access to most of these sources and other sources carrying the 2019 Masters. You’ll find that there are several, easy-to-access Kodi addons that offer live streams for the Masters this year. Use the chart below to figure out which channel/Kodi addon to use for your favorite Masters Golf events. 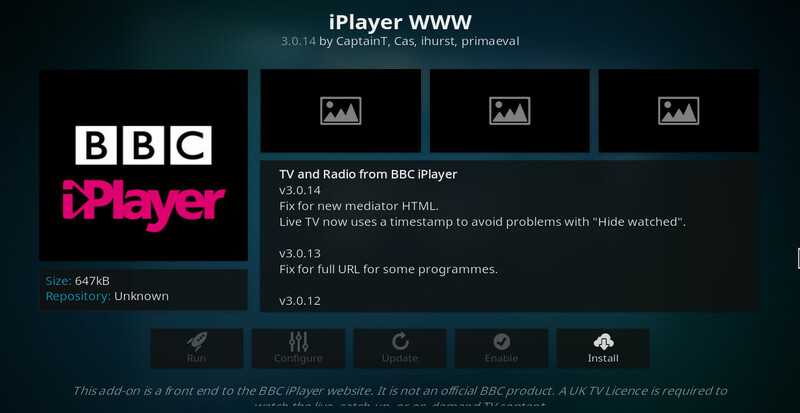 The BBC iPlayer Kodi addon, called iPlayer WWW, is a freely available plugin found in the official Kodi addon repository. You can download the addon directly from your Kodi app by going to addons → download → video addons → iPlayer WWW → install. This addon will serve up live streams and on-demand content and will allow you to view any content coming directly through the BBC iPlayer website. That includes highlight coverage for the Masters Golf Tournament Rounds 1 and 2, and live coverage of Rounds 3 and 4. Note that by law, you can only use the BBC iPlayer if you have a UK TV License, but iPlayer WWW does not include verification methods. To access iPlayer WWW from outside the UK, you’ll need a VPN connection to a UK server. 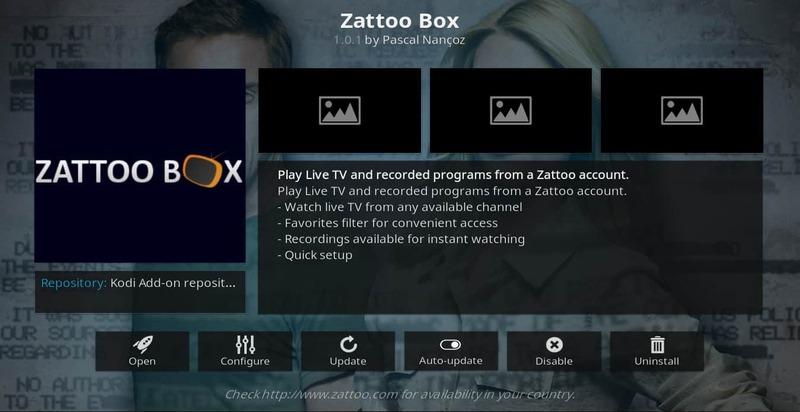 The Zattoo Box Kodi addon will allow you to connect to Zattoo, the free streaming video service based in Switzerland. To install, load Kodi and click addons → download → video addons → Zattoo Box → install. When it finishes installing, right-click Zattoo Box addon and select settings. Input your Zattoo username and password in the fields provided, then click OK. Using the Zattoo Box Kodi addon eliminates the advertisements you would normally see when opening the player or changing channels, although you still see the ads from the channels themselves. Zattoo Box can be used to access the BBC’s coverage of the Masters. If you don’t yet have a Zattoo account, you can get one here. This addon will not work unless you are located in Switzerland or connected to a Swiss VPN server. 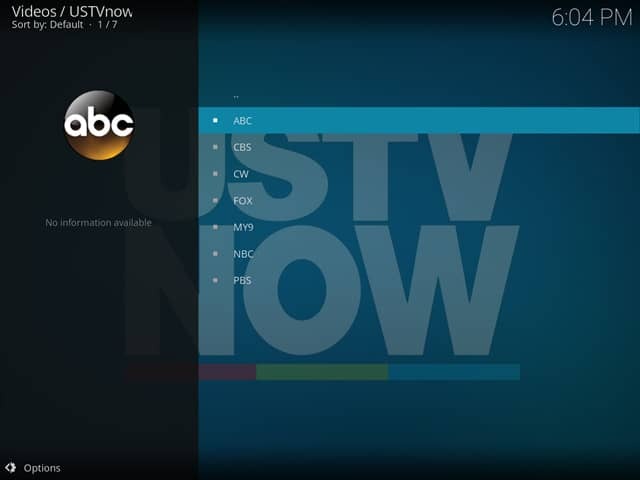 The USTVnow Kodi addon allows you to connect to your USTVnow account through Kodi. To install, load Kodi and click addons → download → video addons → USTVNOW → install. If you do not yet have a USTVnow account, you can get one at the official USTVnow website. Make sure you sign up with an email address and password. If you do the fast signup with Facebook or Google, you won’t be able to log in through the Kodi addon. Based on the current schedule, you’ll have some limited, free coverage of the Masters Golf Tournament through CBS on USTVnow. You’ll be able to watch live TV coverage for Rounds 3 and 4 through CBS. Here is a complete guide to installing and using USTVnow Kodi addon. With a selection of free-to-air Australian TV channels, IPTV AU is a great option to get the live coverage available from Nine Network. To get this addon installed, you’ll need to download the Matthuisman.nz Kodi Repo, which you can do so from his FTP site. Once you’ve downloaded the zip file, open Kodi and go to addons → package symbol (top left) → install from zip file. From there, locate the Matthuisman.nz zip file in your computer’s downloads folder, and download. 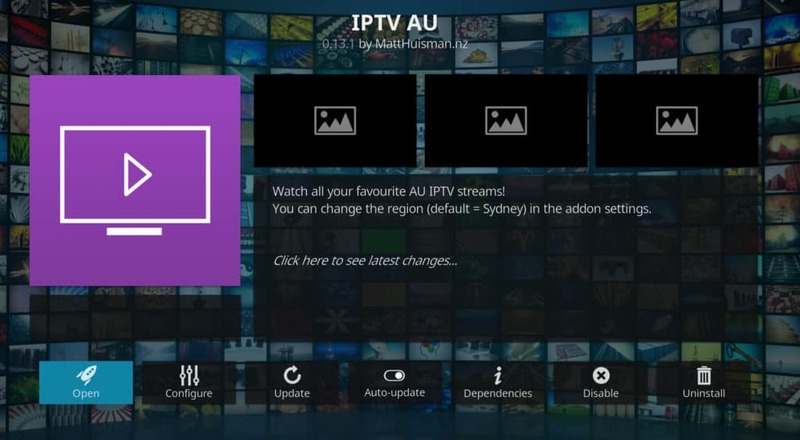 Then, go to addons → package symbol (top left) → install from repository, locate the Matthuisman.nz Repository, then click on videos and install the IPTV AU addon. Nine Network will carry all of the US Masters Golf Tournament Rounds 1-4, live and free for viewers. A VPN connection to an Australian server may be necessary when the event starts. 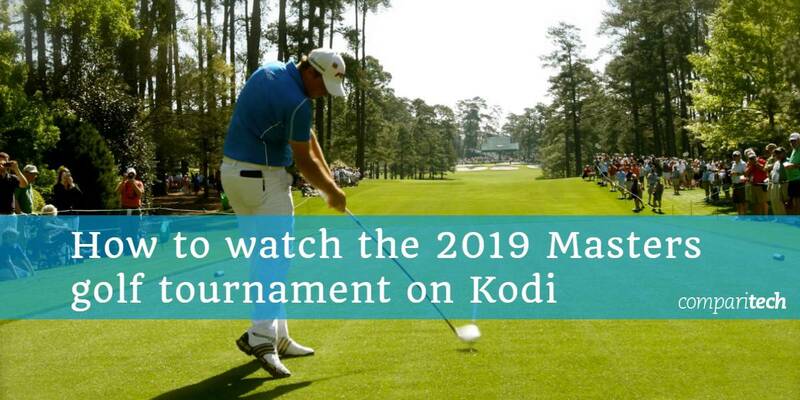 Some Kodi addons will require a paid subscription to access channels you may want for the 2019 Masters Golf Tournament. However, some of these subscription services offer free trials, so you can sign up, watch all of the Masters events live and in HD through Kodi, and then cancel your subscription afterward (or keep it if you find the service is worth the price). The Sling TV Kodi addon will give you direct streaming access to your Sling TV account. Through Sling TV’s Sling Blue subscription, you can get the Golf Channel streams, while Sling Orange will get you the ESPN streams for the US Masters. Your best option, however, is to sign up for the free trial with the Sling Orange + Blue subscription to get both channels. Should you choose to keep Sling following the free trial, it’s $25/month for Sling Blue or Sling Orange and $40 per month for Sling Orange + Blue. 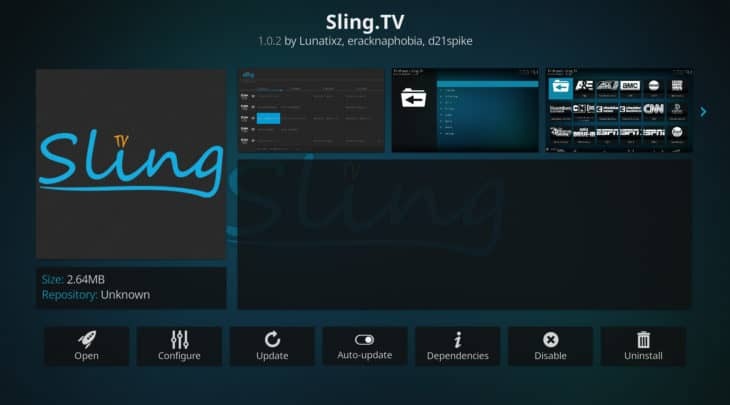 You can install the Sling TV addon directly from the official Kodi addons repository. Similar to Sling TV, PlayStation Vue will give you live TV streaming across a large number of channels. These include CBS, ESPN, and the Golf Channel, all of which are available through the “Core” package PS Vue offers. You can sign up for the 5-day free trial and cancel after the Masters Golf Tournament ends. Otherwise, your cost will be $49.99 per month. 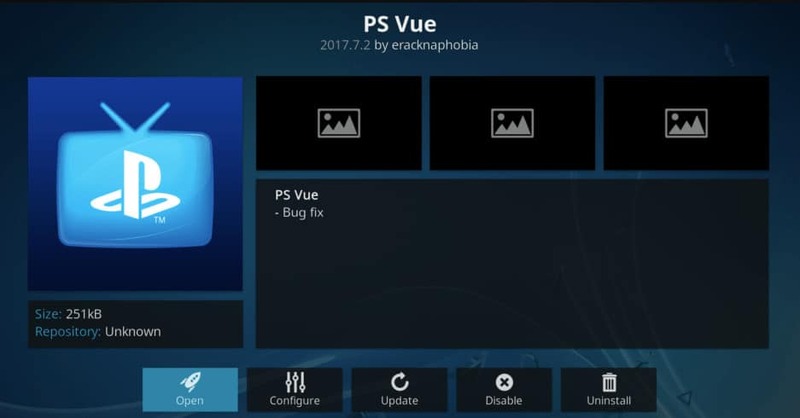 You can find the PS Vue Kodi addon in the official Kodi addons repository. We hope you’ve enjoyed this guide to watching the Masters online or through Kodi. If you’d like more info on how to watch TV online, check out some of our other guides. These include how to watch NBA on Kodi, the best Kodi addons for live TV, how to watch Tubi TV on Kodi and outside the U.S., and more. Top image: “Masters Hole # 7” by Torrey Wiley, licensed under CC 2.0.